Plutarch’s masterpiece is intended to teach us about human defects and heroic virtues. The groupings include Caesar and Alexander,Theseus and Romulus, Demosthenes and Cicero, Lycurgus and Numa, and Solon and Publicola. All of the dyads culminate in sugkriseis, critical comparisons. The author, as he tells us, does “not shrink back [ouk apokneteon]“ from chastising as well as praising his subjects. There is nothing even slightly commensurable about the attention that the literary establishment has paid to the two. Buckley has spent his life in the limelight, enjoying the accolades of the Left – despite his faux pas of having defended Senator McCarthy in the early fifties. By contrast, Francis, once a nationally acclaimed journalist, lost his media friends. He fell from a mediumly significant newspaper job, at the neoconservative Washington Times, in the nineties. Because of his unfashionably conservative opinions, he could not find a comparable position again. He ended his regrettably short life as an independent journalist—providentially aided by the institutions of the emerging paleoconservative movement and the advent of the internet. On the moral level, it is impossible for me to treat these figures with equal sympathy. Buckley, unlike Francis, has spent the latter part of his life as a social butterfly. He has exchanged old friends for new and more useful ones. His fawning on the neoconservatives, begun in the seventies, has continued. (Undoubtedly these contacts have remained useful.) 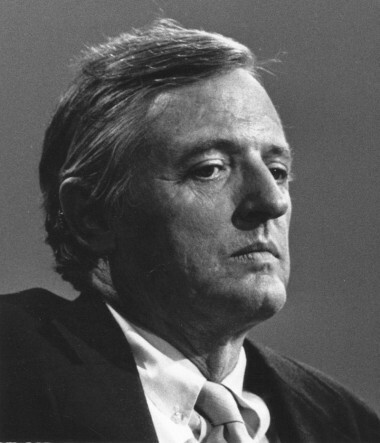 Buckley has moved dramatically to the left since the 1960s, when he was still defending Southern segregation. He has covered this up deftly, by cultivating leftist as well as neoconservative friends, and even handing over the journal that he founded in 1955, to “stand athwart history” to motley writers who in any previous age would have been seen as somewhere on the juvenile left. Recently, his most recently handpicked editor-in-chief, Richard Lowry, [email him] praised Condoleezza Rice, for gearing her approach to international relations to the “American ideals” of the civil rights movement. Such an understanding is not likely to shed light on the world’s geopolitical and cultural complexities. In the late nineties, Buckley decisively moved the magazine he controlled from expressing misgivings about immigration to silence, in obedience to the GOP leadership. Peter Brimelow and NR‘s immigration-critical editor–in-chief John O’Sullivan were eliminated to make way for xenophile editors and contributors, exemplified by Ramesh Ponnuru, John J. Miller, and Daniel Griswold. I myself, formerly an NR contributor, had fallen through the cracks in an earlier purge, in which editors Chilton Williamson and Joe Sobran, were edged out because they were uncongenial to the new folks on Buckley’s block. 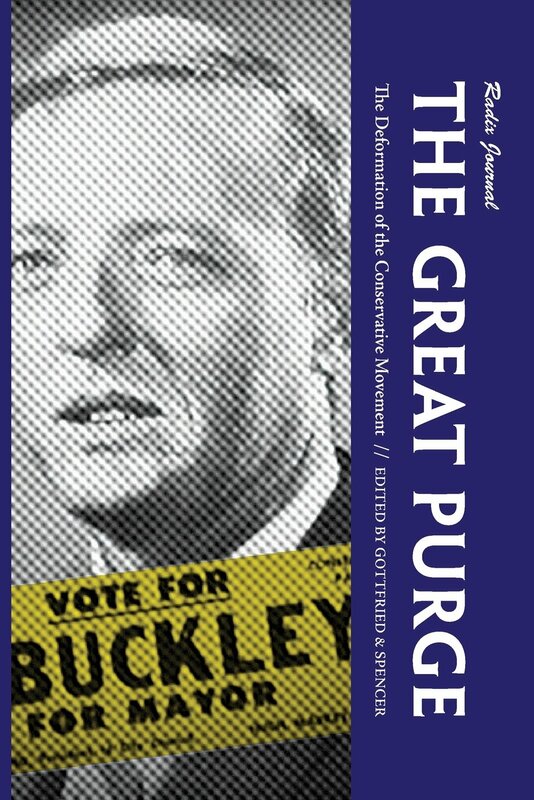 These purges corresponded to Buckley’s pontifical practice, which started in the fifties, of excommunicating conservatives who no longer suited his purpose. That purpose, however, had once been to fight international communism—as opposed to accommodating the peeves of his neoconservative eating companions. I now wince as I behold Buckley in the role of a neoconservative supernumerary, trying to stay “relevant” by rephrasing neocon platitudes in his ornate style. He lurches from one disconnected thought to the next, for example, in his boorish comment about praying for the pope’s death because of his infirm condition, in order to make waves, without causing offense to his masters. Sam’s mastery at constructing coherent Georgian sentences, a skill he shared with Buckley (but few others) may have come from his immersion in English history. The other possible source—Joseph Scotchie observes—was Sam’s exposure to the work of his fellow-Southerner, William Faulkner. Known for his sharp wit as well as rhetorically moving prose, Sam was morally passionate in a way that no other human being I’ve known could equal. Both his solitary brooding side, on which others have commented, particularly his recent deriders, and his sense of humor (which my wife insists was the best she ever ran into) had a morally tortured aspect. Contrary to Mencken’s mot about Puritans’ agonizing over the fact that others might be enjoying themselves somewhere, Sam was a Puritan (a term he would not have shunned) who mourned the vanishing of a civilization. That civilization came out of a European white population that once believed in itself and therefore was inclined to preserve what it had created. Sam argued in cascading columns that, absent this culture-building component, the resulting civilization was doomed. And the only possible way to hold back that end was to fashion counterrevolutionary myths, comparable to Georges Sorel‘s “redemptive myths,” that might galvanize what was left of a Euro-American core population to defend itself against extinction—or else moral decadence. Sam’s desperate solution came out of deeply-held conviction and from the fact that he could no longer find a workable way back from the multicultural nightmare that was overwhelming his society. He was neither a “positivist” nor a fascist but a supremely decent and brilliant analyst of our historical condition who was still groping for solutions to social decay at the time of his death. Unfortunately, Sam lacked the social presence and conversational facility – and wealth – of Buckley—a man whom Sam went from admiring to despising. If only he had enjoyed the influence and media-accessibility that were available to Buckley, without having to pay the price Buckley did and still does, Sam might have exercised the impact on our conservative-leaning youth that was his right. The abuse he suffered at the hands of neoconservative lightweights is an outrage that this generation of journalists may never be able to expiate. One can only hope that Sam’s less than honorable critics hold their peace.